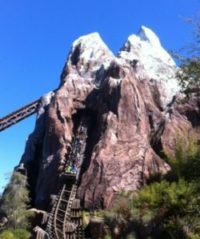 Here are the Top 6 Disney’s Animal Kingdom Secrets you need to know when planning a Walt Disney World vacation. The FastPass+ times will be gone for Avatar Flight of Passage 60 days in advance by shortly after 7am Eastern Time. One way to possibly obtain one is to plan your Animal Kingdom visit to be one of the last few days of your vacation. When you log into your mydisneyexperience account before 7am, go to the day you plan to visit Animal Kingdom and hopefully Avatar Flight of Passage will be available. 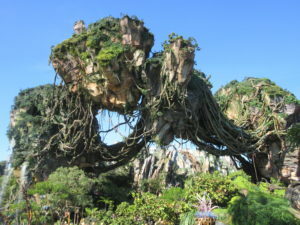 If you could not get a FastPass+ for Avatar Flight of Passage, then here is the way to experience it. Please note this secret as you are planning a Walt Disney World vacation. Arrive 45 minutes before the park opens and when they let you in go directly to Pandora – The World of Avatar. You will get in line for Avatar Flight of Passage and the wait should only be about 20 to 30 minutes. The wait for the attraction later in the day will be over 2 hours! For the 1st hour of park operations there will be a minimal wait for Expedition Everest! 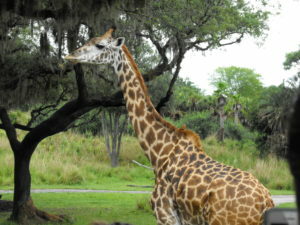 If it is possible, visit Kilimanjaro Safaris in the morning. The animals will be more active. Dinosaur is a wonderful attraction, but it can be scary for young children. It is very dark and dinosaurs will come towards the vehicle. This will be of assistance for the family when planning a Walt Disney World vacation. The Festival of the Lion King is a must see show! You do not necessarily need a FastPass+ if you arrive about 30 minutes before the start of a show.